(NOVA). 55 min. PBS. 2017. $24.99. ISBN 9781531703455. Gr 6 Up—When Stonehenge expert Mike Parker Pearson is faced with untangling thousands of tiny cremated bone fragments mixed together in burial pits, he seems more energized than daunted. With the help of forensic osteoarchaeologists (who use earbones to differentiate male from female and approximate a body count of individuals per burial site), Pearson makes scientifically grounded suppositions of who lived near or at the site thousands of years ago. Might they have been construction leaders or perhaps the labor force for some phases of Stonehenge's formation? Perhaps they were worshipers or elite families? Expert interviews, maps, animations and present-day footage point to evidence of where materials came from and how their arrangement is related to astronomical events, such as the solstices. The film discusses new evidence regarding the Aubrey holes (an outer ring of holes that predate the large Stonehenge monoliths) and their function as burial pits. New scientific analysis establishes there were residents at a nearby village, and pot shards reveal information about their diets. Though more is now known, Pearson must still hedge his comments with words like "possibilities," "evidence points to," "might have," and "could have" when discussing the site's creators. The film provides several plausible scenarios yet acknowledge that no one yet has definitive answers. 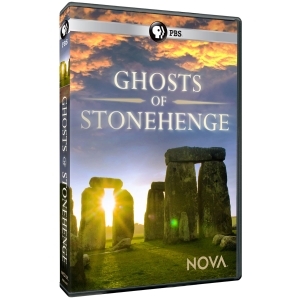 VERDICT Useful for anyone with an interest in Stonehenge or in seeing scientific methods at work as researchers use incomplete evidence to explore potential conclusions.